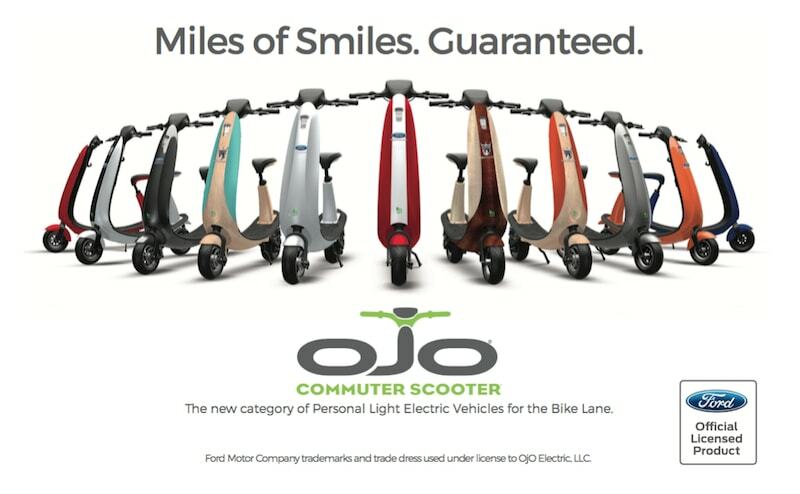 The Ford OjO electric commuter scooter is originally developed by the Californian e-scooter startup OjO Electric and has been acquired in 2017 by the American car manufacturer Ford to add as a smart-mobility option. The scooter is light weight (30 kg) and Ford has announced that it is working on a fold-able version. 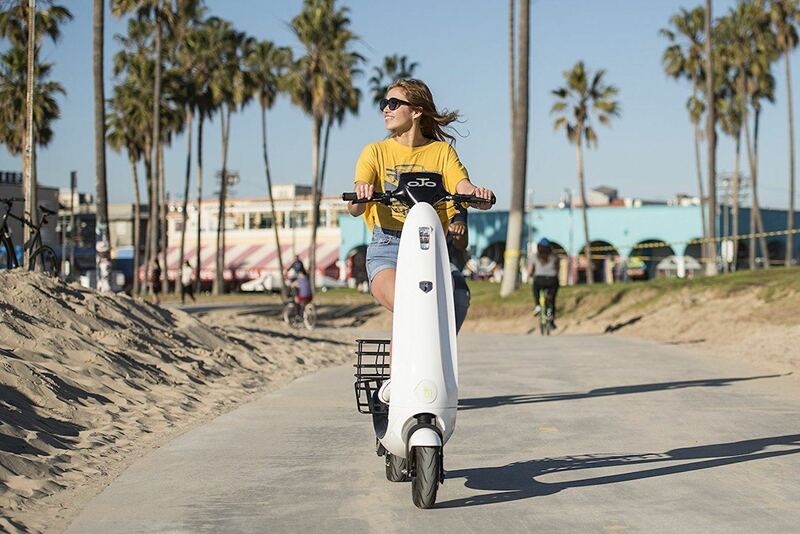 The scooter is intended for fast and efficient commuting in busy cities and on company campuses. The scooter has a 500 watt electric motor in the rear wheel and a Lithium battery for a range of 40 to 50km. 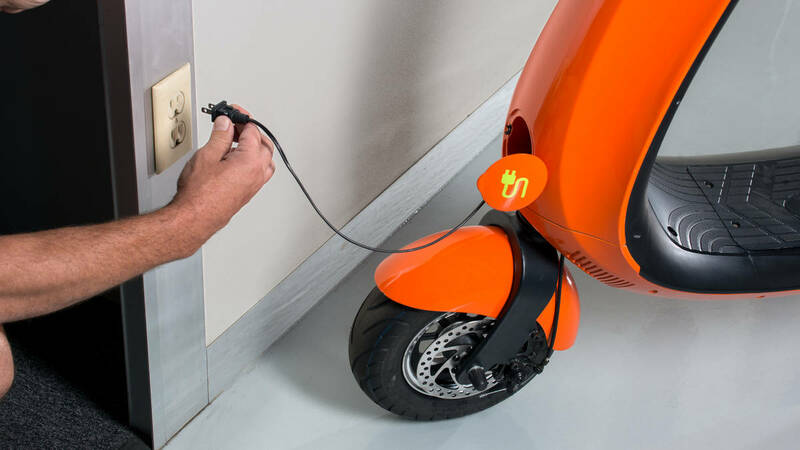 The scooter has a built in charger that enables to charge the batteries in 5 hours. An advantage of the scooter is that it does not require a driving license and that the scooter is bike lane friendly. The top speed of the scooter is 30 km/h. The scooter has high quality suspension and offers the ability to ride while sitting or standing. Ford offers several transport accessories such as storage racks and baggage basket. The scooter has all weather tires and front and rear disc brakes with ABS. The scooter has built in bleutooth speakers that enable to output a driving noise or to play music while driving to increase safety for pedestrians. The scooter has a digital touch screen dashboard with information about the battery and driving history. The scooter has a built in anti-theft alarm and a wireless key. 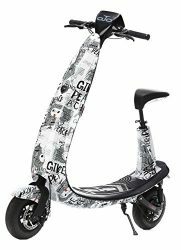 The scooter is available in many colors and prints and can be personalized trough the online order form.